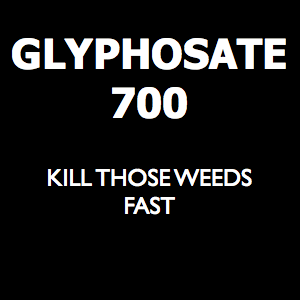 Dry Gly 700 Herbicide (Glyphosate 700g/L) the strongest glyphosate of them all is a non-selective and non residual herbicide for the control of, annual, perennial and aquatic weeds for a broad spectrum of applications. Based on the powerful Mono Ammonium Salt. Easy to store. Comes in satchels that means you don't need to cart around the full container if transporting the glyphosate is your thing. The pre packaged satchels are ready to go. Ideal for spraying, just empty the contents of satchel into spray pack and you're good to go. Safe. No messy chemicals lying around and no need to get your hands dirty mixing the glyphosate. More bang for your buck. The granuals go further than the liquid.